Lake season is officially here, and we know there is nothing like being out at the lake. The sun is out, the temperature is up and the ice is officially gone. The lakes can be a great place to relax, spend time with family and friends and of course, have fun! We’ve highlighted our top water toys to enjoy this summer. Find more water sport inspiration by following @ScheelsSports on Instagram. Who says you can’t own your own private island? The Original Aqua Lily Pad from SCHEELS lets you create yours from practically anywhere there’s water. This 18’ x 6’ buoyant pad weighs less than 30 pounds but can hold up to 1,300 pounds of distributed weight! The Aerobie Superdisc is easy to throw and ideal for all skill levels! The unique cushioned edge offers a comfortable grip and soft catches – dogs love it, too! The Superdisc is made with a 10-inch diameter and floats in the water, which makes it a great toy for the lake or pool. The H2OGO! 18-foot double-lane slide lets you race your friend down to a wet drench pool finish – just connect the garden hose and go! The speed ramp provides a soft landing for a smooth but fast ride. The double slide is perfect for a sunny day at the lake or for weekend fun in the backyard. If you’re gonna keep cool, you’ve got to be cool! Think BIG and take on your summer with this next-level ginormous 6-foot tall Unicorn Yard sprinkler. Great for birthday parties, pool parties, family reunions at the lake and more. The inflatable design makes the Unicorn Yard sprinkler light weight and simple to use. The Stream Machine is fun like nothing else and is the perfect summer activity for friends to get together to see how far these water balloons can fly! The Stream Machine kit includes one water balloon launcher, a balloon filling nozzle and over 70 biodegradable balloons! Let their be Peace on Earth and let it begin on the lake. This 60″ patriotic island from Swimline will have you floating along in Peace. Constructed of heavy vinyl, this float will show your patriotism this summer. The Swimline Island Floaties are also available in a basketball, soccer ball, baseball and many other designs! Summer wouldn’t be complete without tubing around the lake! SCHEELS offers a wide variety of tubes, from one person to three and more, different colors and shapes or sizes. The Broadcast shape of this wakesurf board provides great performance for any ability level. The board allows advanced riders to air out and generate speed, yet is still stable enough for beginners to maintain momentum. The Shoreline Series is light, durable and built for longevity! The Rave Sports Shoreline board is stable and easy to paddle – whether a beginner or experienced user. 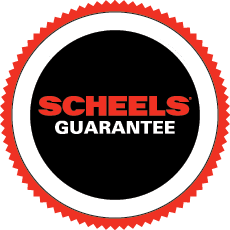 How Do SCHEELS Experts Become Experts? SCHEELS Experts attended Water Sports University in Sioux Falls, South Dakota in mid-May. Watersport University gives SCHEELS experts the opportunity to not only learn about the new and hot products for the upcoming season, but allows for a hands-on experience where our Experts demo equipment out on the water. The multi-day university covers trending products, new technologies of each product, and demo sessions across all water sport activities including: stand up paddle boards, kayaks, wake boards, and wake-surf boards. Three SCHEELS Experts volunteer to take the latest 2018 water tubes for a test ride during Water Sports University! Nick Buttino, from the SCHEELS Water Sports Buying Team, tests out the new wake surf board for summer 2018. The SCHEELS crew gathers around for a team photo during a paddle board and kayak hands-on training event.